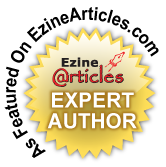 I attended the National Association of Professional Organizers (NAPO) Conference in New Orleans recently and these are my 5 top picks from the NAPO Expo 2013. This is an innovative product from a name we trust. The lids stack and snap together and they also snap on to the base of the container! Graduated containers plus the lids nest neatly into the other larger containers. You’ll never have to rummage for the right size lid again. As an avid bike rider, I liked this the minute I saw it. Monkey Bars are a great way to organize your garage or basement. Check out their website for some great before and after photos. This leather file tote is fabulous. It is made in Italy of recycled leather so not only it is it stylish but it is Eco-friendly as well. 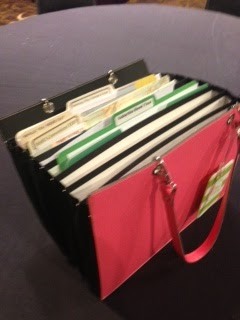 It holds letter size folders and is a nice alternative to a bulky plastic file tote or a briefcase. Check out Office Candy for fun and whimsical office supplies! These rectangular and round stackable jewelry organizers from Wolf Designs have been curated in an amazing collection of organizing products by Julie Morgenstern on Open Sky. 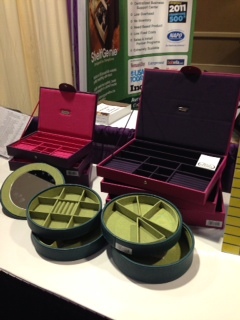 They come in vibrant colors and a variety of interior configurations so you can mix and match the trays to meet your jewelry storage needs. With just one push of a button you can dramatically reduce paper clutter and easily organize your documents and receipts. 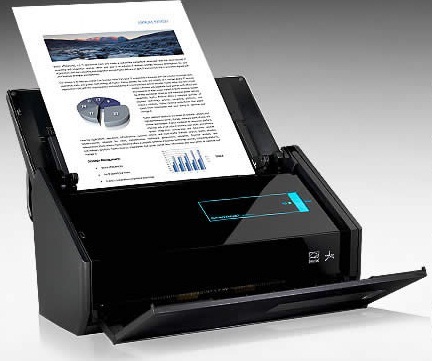 With super fast 25 ppm color scanning and an impressive 50 page Automatic Document Feeder, the ScanSnap takes scanning to a whole new level. 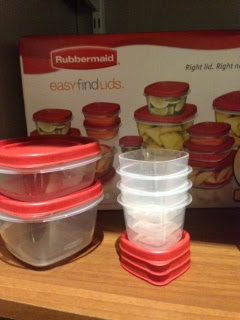 I have some of those small Rubbermaid containers and love them – and I didn’t even realize I can snap the lids to the base. I guess the product name should have been a clue, but thanks for pointing that out! Thanks for posting Janet! They actually come in all shapes and sizes, glass and plastic. It’s a simple idea that solves a big kitchen organizing challenge. Angela, the Wolf jewelry boxes are a great pick! I received a nice big red leather one recently as a gift and it solved all of my bauble-storage problems beautifully and at once. Glad you enjoyed the conference! thanks for posting Ann! These gorgeous, yet simple boxes are my new go-to for bauble storage. I recently discovered the Pottery Barn McKenna Leather Jewelry Armoire which I’m recommending for larger collections.